El Pico de Orizaba, or Citlaltépetl (= “star”), is Mexico’s highest peak, rising to a summit 5,610 meters (18,406 feet) above sea level. The third highest peak in North America, it is also that region’s highest volcano, responsible for major eruptions in 1569, 1613 and 1687. The mountain was first explored by scientists as long ago as 1838. Among the first recorded ascents is that in August 1838 by a group of several European botanists: Henri Galeotti, Nicolas Funck, Auguste Ghiesbreght and Jean-Jules Linden. The group spent eleven days on the volcano and their subsequent accounts of the expedition show that they definitely reached the summit. Afterwards, they went on to have distinguished careers in their specialist fields. 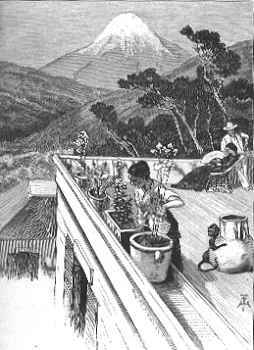 By the time of the climb, Henri Guillaume Galeotti (1814-1858) had already written a landmark article about Lake Chapala, and made numerous botanical discoveries in Mexico. He went on to become Director of the Royal Botanical Gardens in Brussels, Belgium. Jean Jules Linden (1817-1898), born in Luxembourg, collected for the Belgian government in Brazil, Mexico and Guatemala, before becoming one of the world’s most celebrated importers of plants. He set up nurseries for exotic plants in Brussels and Ghent in Belgium, as well as on the French Mediterranean coast. He also directed Brussels Zoo. He is credited with introducing and popularizing numerous plants, including begonias, palm trees and orchids. His superb publications on orchids and his marketing skills won him world-wide respect. The nineteenth century craze for orchids in Belgium had numerous parallels with the craze three hundred years earlier for tulips in the Netherlands. The nouveau-riche industrialists satisfied their passion for expensive and unusual orchids by buying them from Linden who was propagating and growing them in massive, industrial-scale glasshouses. Even the Russian czar bought orchids from Linden! The explorations of Galeotti and his friends resulted in the volcano becoming much better known. A decade later, Carl Sartorius, an artist of German extraction who collected plants for the Berlin Botanical Gardens, and who owned the El Mirador hacienda close to the volcano, organized an expedition to reach the summit. When they reached the top, they found a simple plaque there already, left by two US soldiers, F. Maynard and G. Reynolds, who had served as troopers in Winfield Scott’s army during the 1846-1848 Mexican-American war. This is an edited and updated version of an article originally published on MexConnect. My thanks to Dr. Winston Crausaz. the author of Pico de Orizaba or Citlaltepetl (Geopress International, 1993), whose valuable comment on the original post (see below) has now been incorporated into the updated version above. Mexico’s volcanoes, mountains and relief features are examined in chapters 2 and 3 of Geo-Mexico: the geography and dynamics of modern Mexico. ya um i love the articles but i have alot of questions and need a little more info about mexico’s mountains!!!?? Let us know what would most interest you, and we’ll see what we can do! In the original account by Galeotti he gives details about the climb to the very summit. It was published in the Mexican National Bulletin of Geography and Statistics, 1861, Volume 1, Number 8, Pages 271-273. I have a copy. Ghiesbrecht published an account in the “Courrier” of Belgium, March 7, 1839. He also describes in detail the climb to the very summit. Both accounts say there were only the four climbers. I also own the Ghiesbrecht account. Nicole Ceulemans did a beautiful book “Jean Linden” She visited his route as far as the Mirador. Both Palacios (1916) and Lorenzo (1958, 1964) cite the Galeotti climb in a Royal Academy of Belgium publication.